Easy one floor living! 3 Bedrooms, large living room, updated eat-in kitchen with stove and fridge. Laundry room off kitchen with washer/dryer hook ups for stack-able unit. No pets and no smoking. 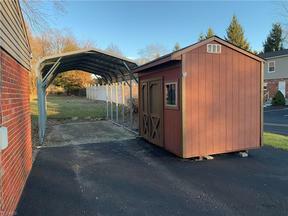 Carport and storage shed.